Your clients probably have a background in trying and failing every fad diet and weight loss program under the sun. They’re probably conditioned to think of food as either “good” or “bad.” This mindset needs to be ditched asap, because it usually perpetuates shame, guilt, and the feeling of being “bad” or “wrong,” which can trigger binge eating and negative body image. Binge eating is often triggered by restricting certain foods. It’s natural for your clients to want what they can’t have. When they label a food as “bad” and something to avoid, they will want it even more. They’ll probably even obsess over it and ultimately wind up bingeing on said “bad” food. Here comes the shame and guilt. From a very young age, we are conditioned to believe that doing something bad makes us bad. So if your client eats a “bad” food, they’ll feel like they are bad or wrong. Cue shame and guilt that eventually turn into a vicious loop of negative self-talk and self-loathing. And why not throw in some over-exercising for punishment, too? Self-love is key. Instead of restriction and deprivation, which are grounded in fear, coach your clients to come from a place of love. When you are motivated by love, or at least compassion to start, it’s easier to choose foods that will make you feel good, because that’s your end goal (not the number on the scale). Food = fuel. Food’s main use is for health and hunger. Ditch the reward mentality. Help your clients avoid using food as a way to “escape” or “numb out.” Coach them to make food choices based on what will nourish their body and give them energy. Intention behind consumption. 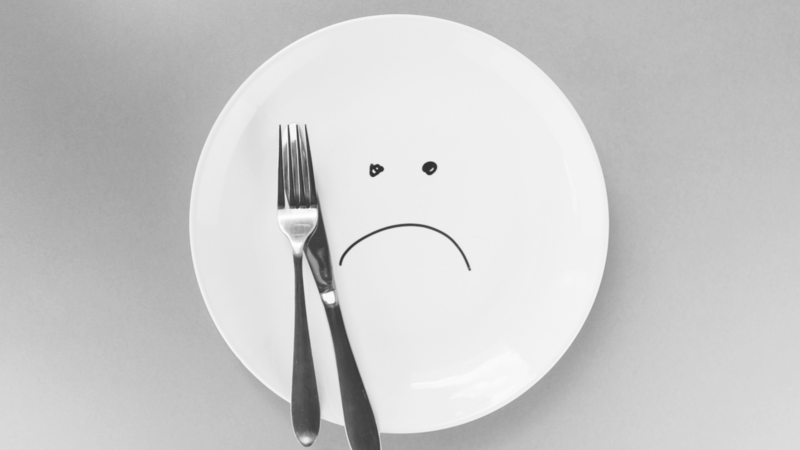 Before eating, tell your clients to stop and ask, “Why am I eating this?” To feel good? To numb out? Because they’re genuinely hungry? If their intention is anything other than hunger, they are not viewing food as fuel, are are likely misusing it.